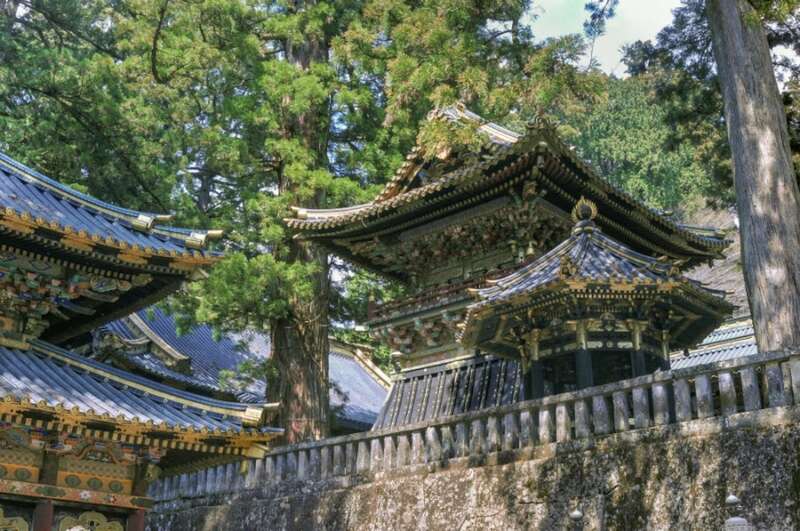 Nikko Toshogu in Tochigi Prefecture is one of Japan’s most popular sightseeing spots. A UNESCO World Heritage Site, the shrine is presently undergoing restoration work that will last some 22 years and which employs materials and techniques true to the time of its construction almost 400 years ago. Ieyasu Tokugawa ended the Warring States Period and ushered in the Edo Period (1603-1868), a time of peace lasting more than 260 years when a wide range of cultural traditions were established. 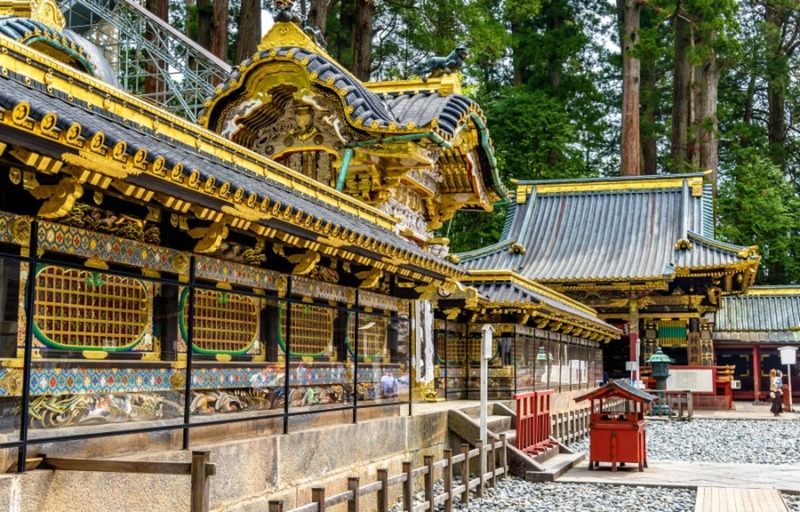 Ieyasu died in 1616 at the age of 75, leaving a will in which he asked to be buried in Kunozan (present-day Shizuoka Prefecture) and, a year later, entombed in a “small shrine” in the Nikko mountains. In accordance with his father’s wishes, the second shogun, Hidetada Tokugawa, built a shrine in what is now Tochigi Prefecture in 1617. This was the original Nikko Toshogu Shrine. In 1636, the third shogun, Iemitsu Tokugawa, ordered the shrine to be rebuilt and, under the master carpenter Munehiro Kora, the present-day complex was duly completed. Of the 40 buildings in the shrine complex, eight have been designated as National Treasures and the other 32 are Important Cultural Properties. During the Edo Period, Nikko Toshogu was an important center for the syncretization of Shinto with Buddhism. However, as a result of the Ordinance Distinguishing Shinto and Buddhism in the Meiji Period (1868–1912), the complex was separated into the Toshogu Shrine, Rinnoji Temple and Futarasan Shrine. In 1999, the precincts of the two shrines and temple were registered as World Heritage Sites. Attracting almost 2 million visitors from home and abroad every year, Nikko Toshogu has become one of the most popular tourist destinations in Japan. More than 21 small and large restorations of Nikko Toshogu have been carried out over the years to preserve its original features. The Heisei Renovations, a major project that will last for 22 years from 2003 to 2024, are presently underway. There are as many as 5,000 reliefs carved into the buildings and gates of the shrine complex. Among the symbolic carvings are the 714 depictions of animals and imaginary beasts including monkeys, giraffes, dragons and the elephant-like baku, a supernatural creature said to eat nightmares. Restoration of the richly decorated Yomeimon Gate, entailing specialized lacquering, painting and gilding work, is now almost complete, and the structure will be returned to its original glory by March 2017.